Students can use newly released PSAT scores to create an SAT study plan right away, while the content is still fresh. U.S. News & World Report By Tiffany Sorensen, Contributor |Dec. 11, 2017, at 9:00 a.m. This year, high school students will receive their PSAT scores on December 11, 12 or 13. PSAT scores range from 320 to 1520. The redesigned PSAT adheres more closely to the revised SAT, which has a maximum score of 1600, and performance on the PSAT is an ideal starting point for SAT study endeavors. The following three steps can help you translate your PSAT results into an effective SAT review plan. 1. Account for differences between the tests: There are a number of key differences between the PSAT and the SAT. For instance, the PSAT is two hours and 45 minutes long, while the SAT is three hours without the essay and three hours and 50 minutes with the essay. As a result, the SAT requires increased focus and stamina. The essay component, which is not present on the PSAT, also requires students to use analytical and rhetorical skills. 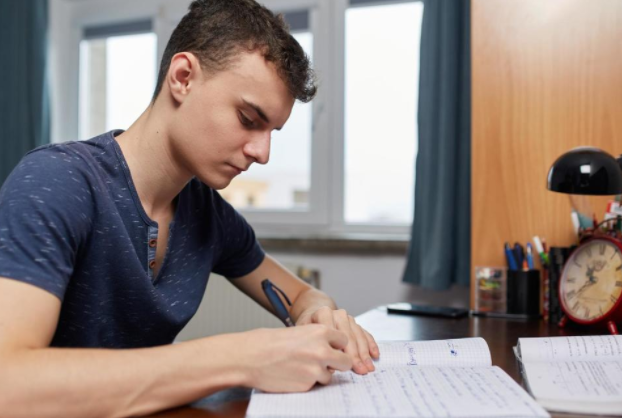 As you prepare for the SAT, consider both the essay and the exam length so that you are neither exhausted on test day nor lacking the proper practice to excel on the essay. In addition, keep in mind that the most complex SAT questions may not appear on the PSAT. For a strategic approach, you can review by question type, such as focusing on trigonometry problems on both the PSAT and SAT. Within each type, note those SAT practice questions that are marked as difficult, since you may not have encountered them on the PSAT. Given these differences between the PSAT and the SAT, your approach to studying for the SAT should be cautiously optimistic. It is better to assume that your SAT score will be lower than what the PSAT suggests, rather than to be overconfident that your PSAT score will translate directly to your SAT score. 2. Create a review plan immediately: You should create a study plan for the SAT as soon as possible after reviewing PSAT score reports. The PSAT’s content and format will be relatively fresh in your mind, and you should have a rough idea of which question types and sections were most challenging for you. Carefully review your PSAT score report to determine which questions you consistently answered incorrectly. The College Board provides detailed explanations for each item to help you better understand where and why you erred – so be sure to read these. 3. Set realistic expectations: Finally, make sure to plan for sufficient time between the PSAT and the SAT. Taking the tests too closely together may result in disappointment if you have not given yourself space to improve. Be honest with yourself about target scores and the amount of time you can dedicate to SAT studies. For example, signing up for the March 10, 2018, date may not be conducive if you hope to increase your score by 200 points but will have limited time to study in January and February. One general rule to abide by is that each 10-point increase on the SAT necessitates several hours of intensive study. Therefore, if you wish to increase your score by 100 points, assume that you will need to review for roughly 40-50 hours. Be aware, however, that this number is only a general estimate and will depend on the quality of your study time. An hour of self-study mixed with distractions at home is not equal to a focused hour of study – no matter how prepared you might feel.